The play-ins were boon to LCS teams last year, propelling both Fnatic and Cloud9 into the quarterfinals. This year has been a struggle for G2 Esports. 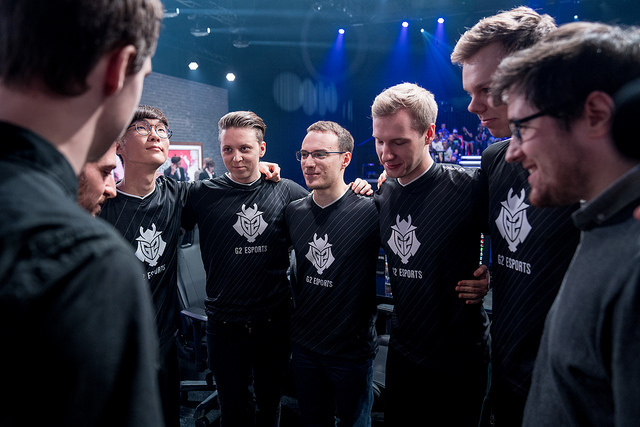 After reigning for two years as the kings of Europe, G2 was forced to revamp its roster after the duo lane of Jesper “Zven” Svenningsen and Alfonso “Mithy” Rodriguez left for the NA LCS. With their bot lane strength sapped, G2 couldn’t summon its typical playoff magic. The team seemed to look more and more unsteady as the year went on. Now, G2 head into the Worlds play-in stage fully under the radar. The good news? That isn’t a bad thing for this team, especially considering its history at international events. Forget what happened at MSI 2016, when the team took a vacation before the tournament instead of bootcamping in Asia like most other teams. G2 has simply stunk at events outside of Europe. Worlds 2016 was a total disaster. Mid laner Luka “Perkz” Perkovic looked like a deer caught in headlights. Both bot laners would later recall that tournament as the worst moments of their professional careers. Last year was better, but only moderately. The team made it to the IEM final on European soil, got to the final of MSI by upsetting Team WE, and went into Worlds with a lot of momentum. Then they were drawn into a group with RNG and Samsung Galaxy. They bravely got three wins, but it wasn’t enough for them to advance. G2 simply haven’t played well as a favorite. They’ve been slow to adapt to other teams in the group stage setting. But now, they have an entire week to get caught up against lesser teams in the play-in stage. They did get one of the toughest minor region teams in their group: Bahçeşehir SuperMassive eSports are no pushovers. But all G2 have to do is beat Ascension Gaming, a pretty weak team. Do that, and G2 will be rewarded with a best-of-five match to get into the group stage. That happens to be their historical strength. And the news gets better. They’re guaranteed to be placed into either Group A or C. Group A is the weakest one this year: the LCK representative, Afreeca Freecs, are good but untested. Flash Wolves have similar international issues as G2, and Vietnamese team Phong Vũ Buffalo are a far cry from last year’s GIGABYTE Marines. Group C would be tougher, with KT Rolster and Team Liquid waiting. But if G2 can’t beat an NA LCS team to make the knockout round, they probably didn’t deserve to be there. None of this means G2 are shoo-ins for the bracket stage. Their bot lane is a major weakness, and while the team is more proactive than in the past, a lot of that proactivity is wasted as jungler Marcin “Jankos” Jankowski has a tendency to either fail ganks or help the wrong lane. But it’s never been about talent or strategy with these guys. It’s always been about getting on the stage and performing like we’re used to seeing them. In that sense, the play-in stage could be the perfect tune up for a team looking to improve. We’ll see if that happens when G2 open their Worlds tournament vs. SuperMassive on Tuesday, Oct. 2 at 4am CT.